DahaiCommodity CO., Ltd was built in 2002. We are a professional manufacture of various HDPE and LDPE plastic bags. 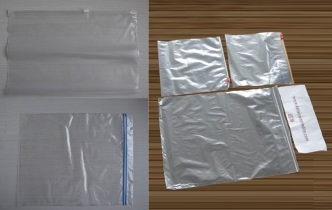 Such as Star-seal Garbage bags, T-shirt Garbage bags, Nappy bags, Drawstring bags, Tie Handle Pedal Bin Liners, S-perforated Garbage bags, Fold-Top Sandwich Bags, Ice Cube bags, Re sealable bags, Zipper bags, T-shirt food bags, Freezer food bags, Cat Pan Liner Bags, Dog Clean Up Bags, Shopping bags, Disposable PE Aprons, Gloves and other Special type bags with different size, colour and fragrance. What’s your need is what we do! Both the quality and the price of our products are all competitive in the international market. The annually net productivity reach to 100000 Tonnage and the export rate is more than 95%. Our main export region covers America, Australia, Western Europe, Middle East, etc. To provide satisfactory products and service is our goal which we firmly believe can be reached based on our experience.